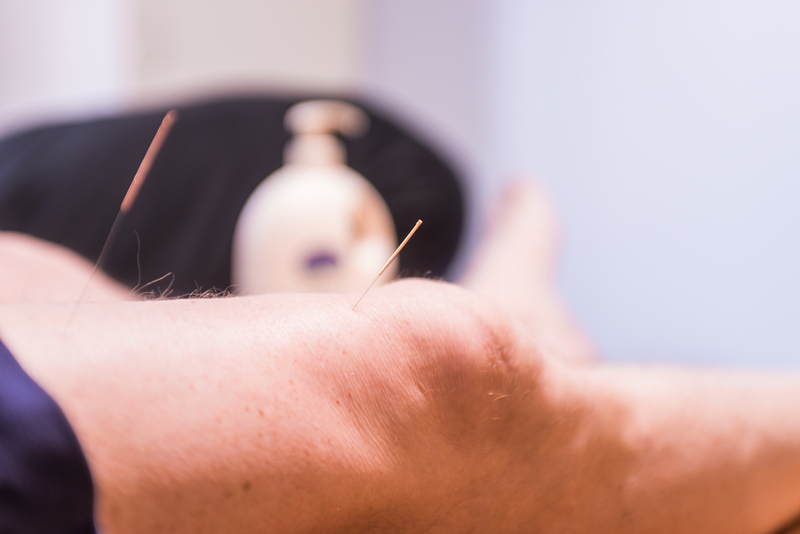 Our physiotherapists are trained in Dry Needling and Western Acupuncture techniques and these may be used as part of your therapy when seeing us. Dry needling is different to traditional acupuncture and eastern medicine practises in that while traditional theories focus on meridians and energy flow, dry needling is a technique used by physiotherapists to treat myofascial trigger points and muscular disorders. These trigger points can often be felt as tight nodules in muscle tissue that are painful when pressed. Trigger points are thought to cause pain, restricted movement and even muscle weakness. When pressed, these trigger points can cause pain to be felt at distal locations. Trigger points may cause pain in day-to-day activities or not be noticed until they are palpated or touched. They are often classified as either active or latent trigger points depending on if they are causing pain without being touched (active) or not (latent). Trigger points are thought to form in response to increased stress in muscle tissues, developing over a long period of time. Eventually, their existence can be problematic causing pain and dysfunction themselves. Dry needling acts to treat these trigger points by creating a small injury in the skin and muscle tissues that can have an analgesic effect. This small injury in the tissue can also trigger a healing response in the tissues, along with a small, localised stretch to the muscle fibres. The overall effect is to have a restorative effect on the muscle tissues, putting them back into their normal resting length. Dry needling can have a great effect on many conditions and our physiotherapists at Addlife Physiotherapy are trained to identify if you are a suitable candidate for this treatment and will discuss any risks with you prior to commencing treatment. Call us now on 0405 333 921 or click here to book online and find out whether acupuncture could work for you.